Premium Tahitian vanilla available now for an affordable price. 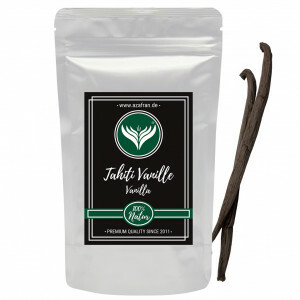 Purchase whole Tahitian vanilla pods 16 to 18 centimetres in an OPP flat bag with 5 pieces each. Tahitian vanilla beans come all the way from Tahiti, and it's one of the most sought after and expensive types of vanilla extract. Tahitian vanilla is known for its thickness as the pods mature completely and are dried for months at a time. They also have a special spicy flavour, which has been used many times by some of the most popular television cooking shows and star chefs. If you are looking for a special flavour, Tahitian vanilla is the right choice. You should always use Tahita vanilla with no more than 50% of the amounts demanded for bourbon vanilla recipes.